It’s the only way to describe what I am about to give you. Flavor, texture, aroma, balance… it’s all there. It’s delicious. Why Lebanese? Why not? We could make Greek, Italian, Portuguese, or whatever ‘region’ you want to go to. I love the flavor used in Lebanese cuisine, and wrapped up in a meatball, it’s wonderful. 1. The meat base. In this case we are using a blend of beef, pork and bison. You can easily sub bison with lamb or more beef or pork if you’d like. 1. The binder. A starchy binder (panada) is essential to holding everything together. Here we are using excellent quality bread soaked in milk, which adds flavor, texture and helps the binder bind. An egg is also necessary to moisten, flavor and ‘hold’ everything together. 3. Flavor profile. For this recipe, I am relying the diverse spices of Lebanese cuisine. Whatever spices you add, make sure you add enough to make them intense. With the beef and binder together, it requires a great deal of spices and seasoning to truly impact the dish. Again, the recipe is fast, easy and incredible. I hope you enjoy it as much as I do. Place the bread on the bottom of a mixing bowl and pour the milk over. Let stand 10 minutes. Add the meats, dry spices, salt, and egg. Mix thoroughly. Add the cheese and continue mixing. 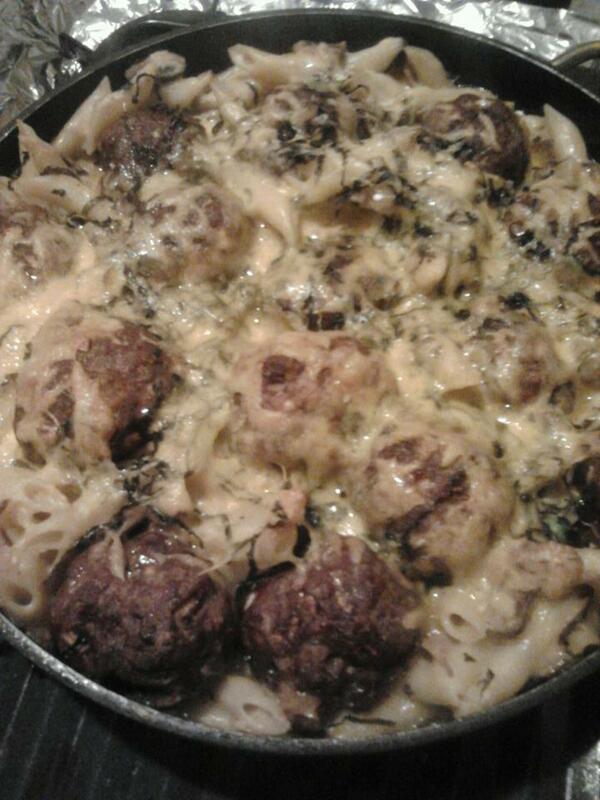 The mixture should hold together when formed into meatballs. If the mix is too wet, add a little more bread (or use panko bread crumbs). Heat an oven to 350. Line a sheet pan with aluminum foil. From the meatballs into 1 1/2 inch balls. Place on the sheet pan and roast until cooked through (about 35 minutes). 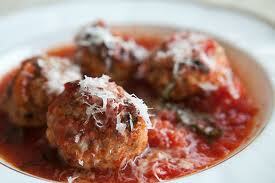 Remove from oven and finish the meatballs in your favorite sauce. I would suggest a spicy tomato sauce with hints of cinnamon, nutmeg and sumac. Whatever you choose to do, it will be delicious!